Real sunlight is one of the elements, which in every season of the year makes any room our favourite place to be. For example classic winter garden, glazed porch, loggia and etc. 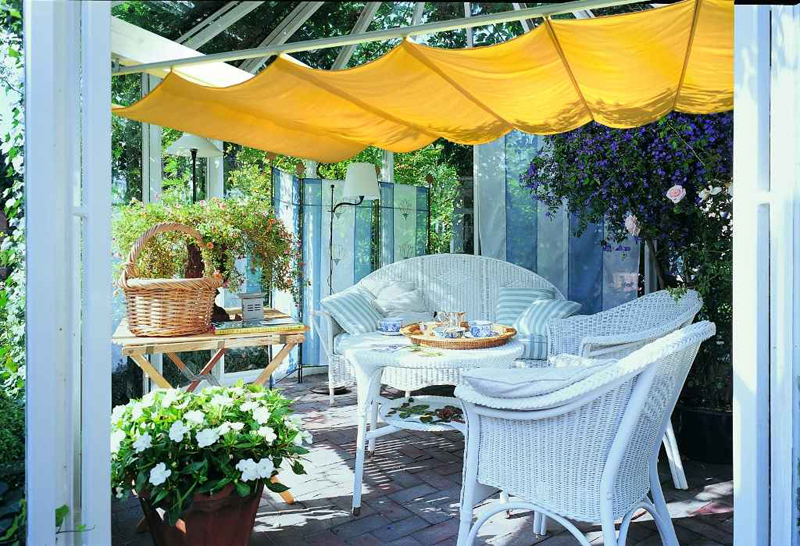 : awnings for winter gardens from Rolset company are in charge of creative leading the sun rays, which cause that winter seems to be a little bit warmer, while summer presents itself from its nicer, shadowy side, too. 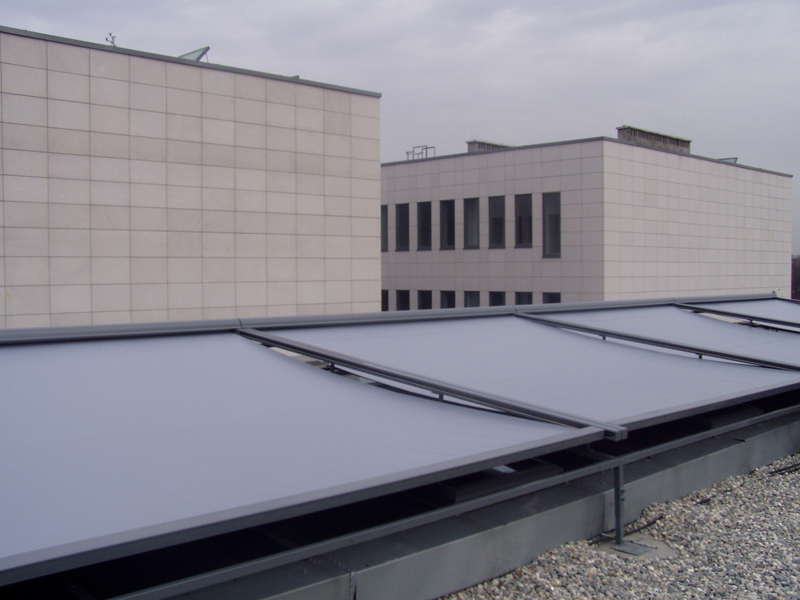 And this is regardless of the fact, whether the awning is mounted inside or outside, on small or large area of the roof, on classic roof or multi hipped roof. The stable cassette is in particular a load-bearing element of the awning. 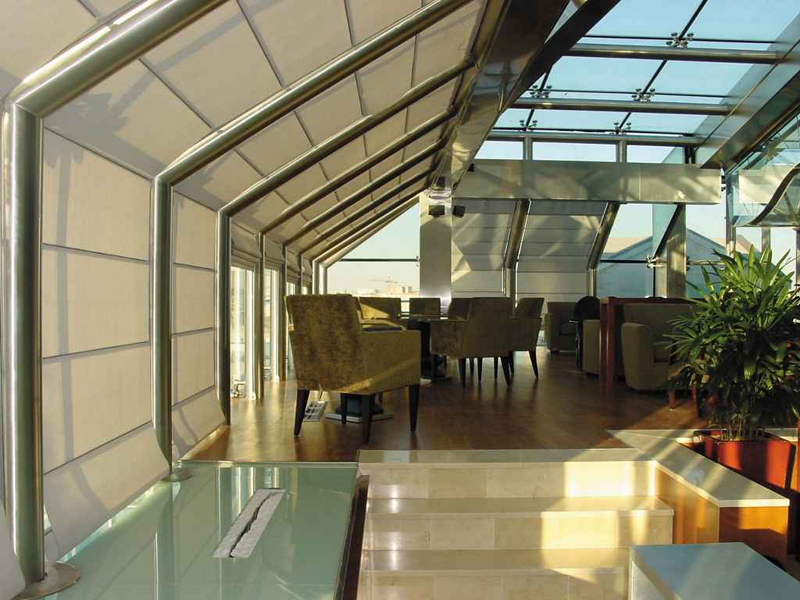 Awning is available in sizes up to 18 square meters of area. 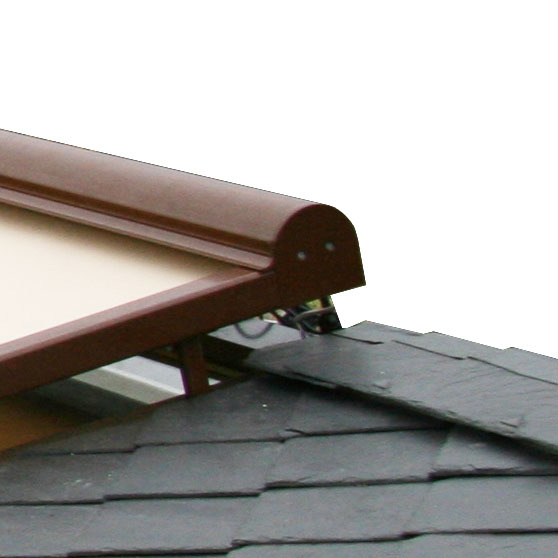 The whole profile allows for easy assembling of the awning. Bigger elements are additionally equipped with pipe that supports the sheathing. It is partially assembled in the factory with clip holders making assembly easier. 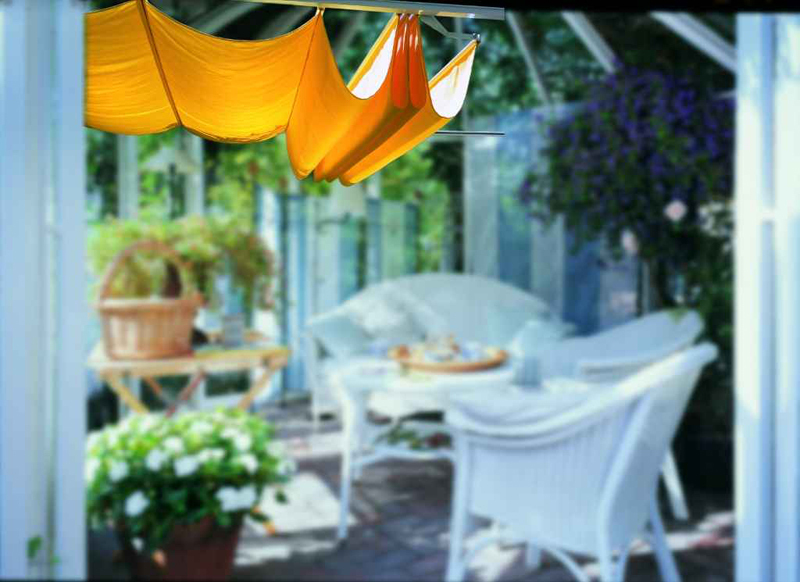 Possible to apply sheathings can be made out of such materials, as acryl or sunsilk snc, as well as special fabric called transolair, which despite of providing nice shade is still clear to the extent allowing to see through outside. Freedom of choosing. Maximum width is 450 cm with height of 400 cm. At maximum height of 500 cm, maximum width is 300 cm. Only electric control of the awning is available. 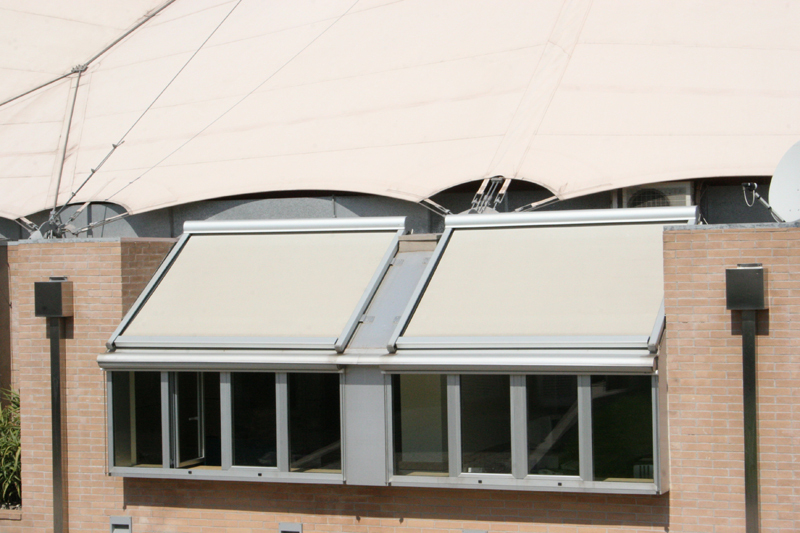 Winter Meeting System is a variation of Roman blind in the guides. 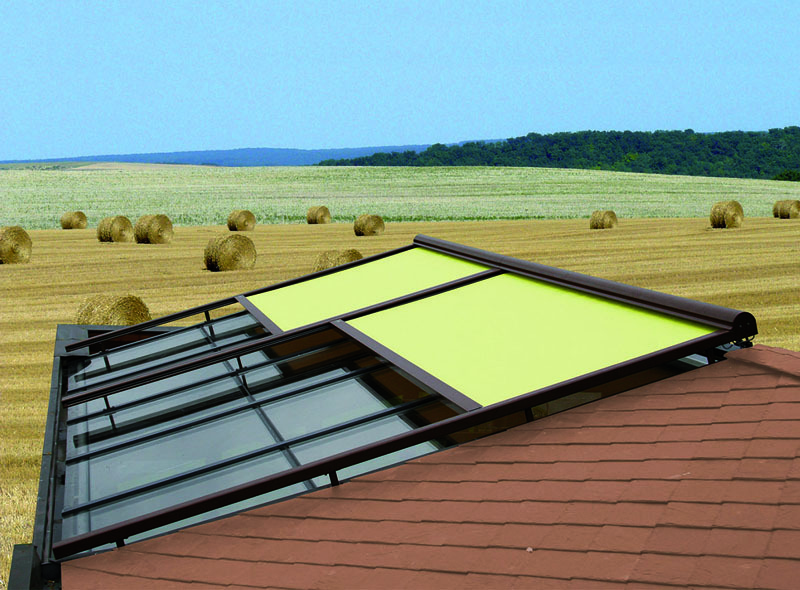 This is perfect system for shading the winter gardens or similar glass structures, including both the walls and roofs or roof bowl in arch shape. Undoubted advantage of this system is a fact that after folding away the fabric fully exposes glazed surface. It can be used with any curtain fabrics. There is also a possibility to bend the profiles. Thanks to that, by means of one roller blind it is possible to cover the wall and roof in the same time, or roof bowl in shape of arch. System Winter Meeting is available with manual string control or electric control.